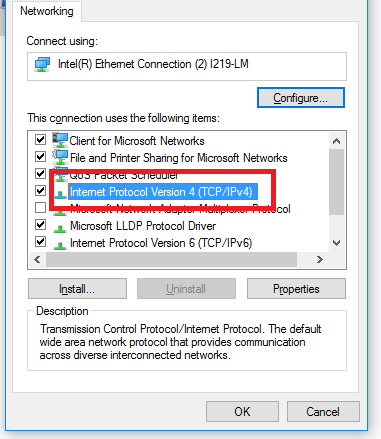 This document will show one the proper settings to have in Windows 10 for the UWPlatt Ethernet. 1. 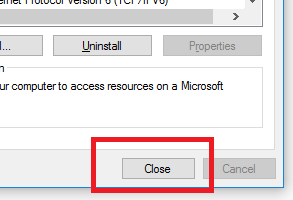 Click the internet icon on the task bar (looks like a computer monitor), a small popup should extend up. 2. 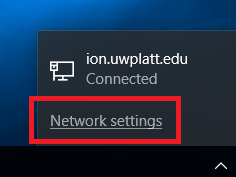 Click Network settings, a new window should appear. 3. Click Ethernet on the left side of the window, it should highlight in blue. 4. 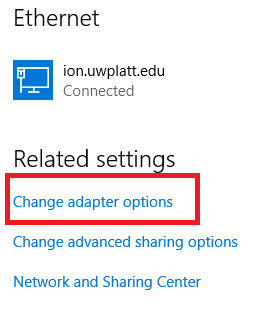 Click Change adapter options, a new window should pop up. 5. Right click the adapter labeled Ethernet. 6. On the set of options that appeared, click Properties. 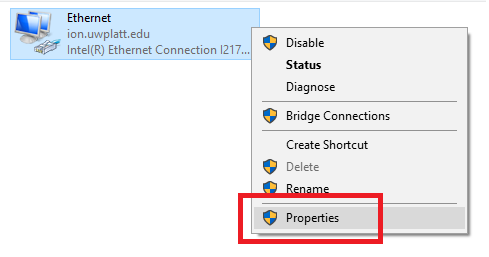 A new window titled Ethernet Properties should appear. 7. 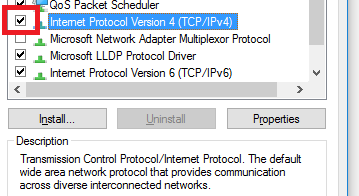 To the left of Internet Protocol Version 4, there is a checkbox. If the checkbox isn't checked, click it to do so. 8. Click on the actual text of Internet Protocol Version 4, it should now be highlighted in blue. 9. Click on Properties. A new window should appear. 10. 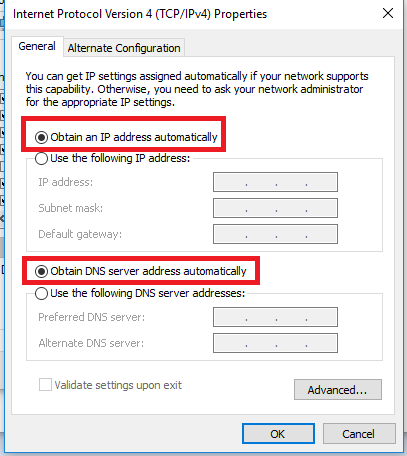 Click the buttons for Obtain an IP address automatically and Obtain DNS server address automatically. 12. Click Automatic private IP address. The proper settings to connect to the UWPlatt Wi-Fi should be obtained automatically at this point.